The book From the Barrio to the Board Room is a tool and Dr. Robert Renteria is a resource who promotes education, a sense of pride and accomplishment, and self-esteem within the youth of our communities. The Books “From the Barrio to the Board Room, Mi Barrio and Little Barrio” are teaching tools. They are culturally relevant, inspiring, exciting and motivating books. 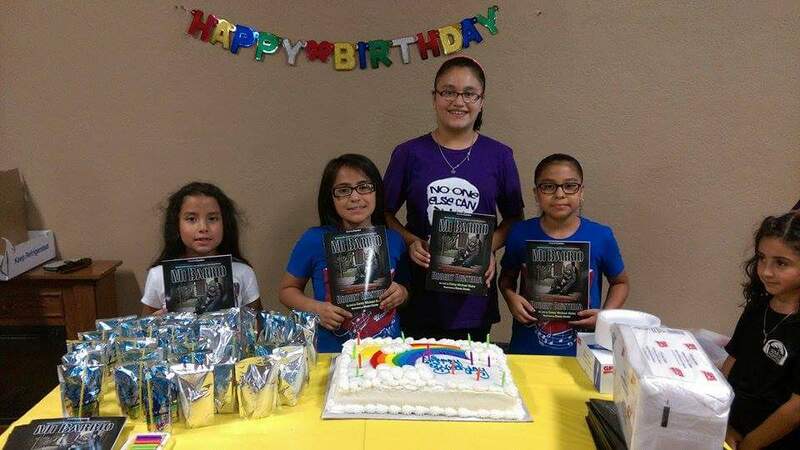 Both the school based and faith based curricula (which are both donated at no cost) are used as a comprehensive bilingual non generic program that resonates with the youth and adults promoting student achievement, helping our teens and at-risk youth with their critical thinking skills and bridging the educational gap. International Youth Empowerment Program. You are not a victim of your environment, you are a victim of your choices. From the Barrio Foundation recognizes that while Dr. Robert is an incredible resource who can inspire our youth to ask for help. It is the Barrio books and curriculum that help address and solve the issues of bullying, gangs, violence, drugs and school dropouts. Several years ago, a young man approached Robert and wanted to know the secret to getting himself a “phat” ride like Robert’s new Mercedes. When Robert told him the secret was hard work, the boy listened. At that moment, Robert realized that countless children, teenagers, and adults are walking around—lost in a culture of darkness—and he needed to do something about it. Take a look at some of Roberts local Press and Videos. We’re introducing Mi Barrio, a hard hitting comic book version of From the Barrio to the Board Room that your students WILL BEG TO READ. We don’t glamorize drugs or violence, but we do keep it real in a way that speaks to them honestly while inspiring them to stay in school, value their education and make better choices. The From the Barrio Foundation is working with the Chicago Public School District and other schools around the country to implement From the Barrio to the Classroom, a dynamic two week curriculum/teacher’s guide that utilizes Robert’s story to help students reflect on their own lives and share their own stories. The book From the Barrio to the Board Room is a tool and Robert Renteria is a resource who promotes education, a sense of pride and accomplishment, and self-esteem within the youth of our communities. Robert Renteria was born in the barrio. Tough choices and hard work helped him leave that life to become an extremely successful entrepreneur. He's since written his story into a book that has become a roadmap for other children growing up in poverty. Robert shares this story and challenges us all to share our own.